It is not even a week since Emmelie de Forest won the Eurovision Song Contest in Malmo for Denmark and the National Broadcaster has released details of the team behind Eurovision 2014. Now it looks like there will be a battle to be the Host City for next Year’s contest. Of course Copenhagen as the capital is in the running for the contest. Earlier in the week it was not a “Red Herning” as the city of Herning made it’s intentions known. Today we now learn that Aalborg has expressed their desire to be the center of Eurovision next year. Like me you will probably have said “where about exactly is Aalborg?”. Well the city hosted the 2012 Danish National final and the Director if the Aalborg Congress of Culture – Ernst Trillingsgaard – has announced that they have inquired to Danish Broadcasting what they criteria is to host the Eurovision. 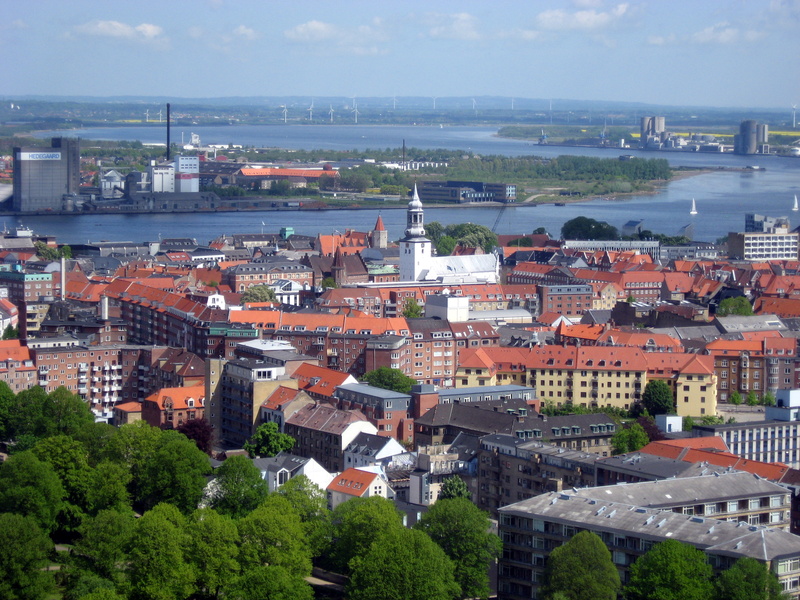 Aalborg is a Danish industrial and university city in North Jutland. The city of Aalborg has a population of 104,885 (126,556 including Nørresundby) making it the fourth largest city in Denmark in terms of population. It is serviced by a train station and airport so transport is ticked. They have the “Aalborg Gigantium Stadium” – even the name is BIG. With more than 9,000 square meters of floor space. There is a total of 4,528 seats and the hall is approved for 8,500 people. You decide – Copenhagen, Herning or Aalborg? Actually Fredericia and Horsens have joined the field now, Still waiting for the 2nd largest city (town) Aarhus to apply…..now that would be a treat…. Hi Soren – We just saw Horsen are not in the bid. Agree with you that Aarhus have yet to make a bid. Do they have a large stadium there? Didn’t they not withdraw to help support Herning? DR announced only two cities are now in the running. Still believe 3 cities Patrick – Aalborg have asked Danish TV for the full criteria on hosting the contest.